Grapes: Corvina, Morellino e Rondinella. Characterisation: The colour is an inviting lively ruby. The nose, of cherries and nectarines, is fragrant and convincing. In the mouth the wine moves juicily towards the close, while remaining enjoyably refreshing. 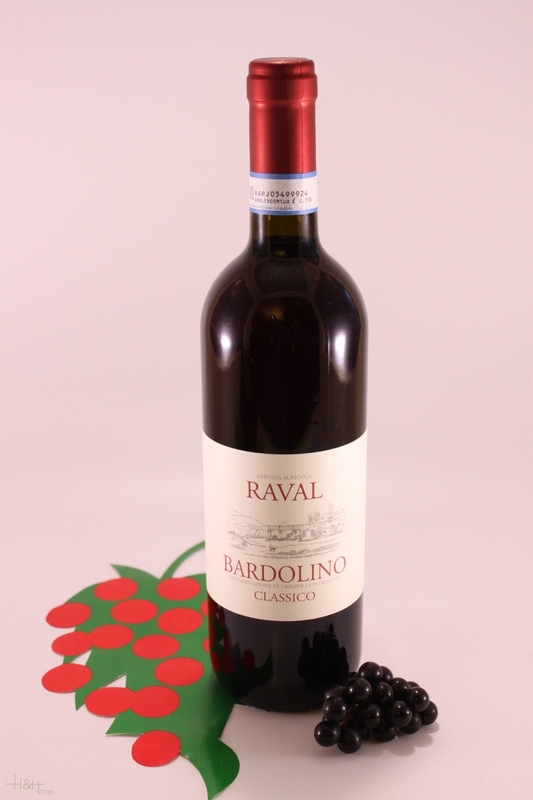 "Doctorwine" has rated the wine "Raval Bardolino Classico, Veneto, Italy" from the vintage 2013 on 24.12.2014 with 87 of 100 points.
" A blend of Corvina, Rodinella and Negrara grapes, this wine ferments and ages in steel and has a bright but not dense ruby color. The aroma is rich in cherry scents as well as those of white fruits like peach. The mouthfeel is excellent, compact, elegant, flowing and persistent thanks to a nice acidity and settled tannins. " "Doctorwine" has rated the wine "Raval Bardolino Classico, Veneto, Italy" from the vintage 2012 on 30.08.2013 with 83 of 100 points.
" This historic winery offers a Bardolino that is quite austere. Its ruby color is not too intense and after some slight hesitation the aroma distinctly opens on notes of pomegranate that is not too ripe, together with a little medlar ahead of some white cherry. The mouthfeel is of medium-structure but well-expressed and upheld by a prominent acidity and makes it all very drinkable. A delicate and elegant wine but one with a nice persistence and a return of fresh fruit in the finish. " Montepulciano d' Abruzzo Riserva Marina Cvetic DOC - 2014 - 1,5 lt. - Gianni Masciarelli 51,55 EUR / 34,37 €/lt. Merlot Riserva Sosso DOC - 1997 - Livio Felluga S.r.l. 44,55 EUR / 59,40 €/lt. Contrada Chiappemacine IGT - 2014 - Weingut Passopisciaro 47,85 EUR / 63,80 €/lt. Poggio alle Vipere IGT - 2015 - Russo 40,55 EUR / 54,07 €/lt.